Organize your LLC online in minutes. LLC order forms and information you need for creating a Limited Liability Company in the US. The best prices for online LLCs. Fill in the secure order form to create your LLC online. This form is not intended to provide legal, business or tax advice. They are offered as a public service without representation or warranty. This form will satisfy the minimum legal requirements of the state, and may be amended from time to time. The person placing the order may not knowingly make false or fictitious statements or representations. Anyone violating this condition, is guilty of a felony. Processing will begin immediately upon receipt of your LLC order. Filing times vary from state to state. You will receive an order confirmation the moment you place your Limited Liability order with IncSmart.biz. 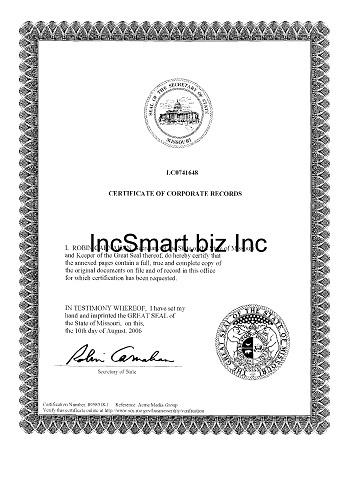 IncSmart will cause your articles to be delivered to the Corporation Division of your chosen state. We are acting in good faith believing the information on your articles are true. Stamped Alabama LLC Articles will be returned to your email address. 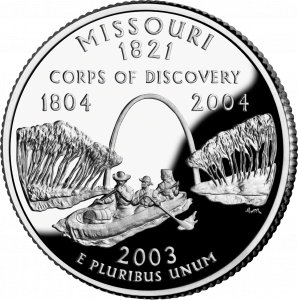 Call 888-681-9777 now for Missouri LLC information. IncSmart will best any competitor's price on any service! If your Missouri company has business owners who do not live in the United States, the Missouri Limited Liability Company may be a suitable company as it does not require members to be US citizens. Ordering a Limited Liability Company is easy from IncSmart.biz. If you are an attorneys, CPA or Real Estate agent, a Professional Limited Liability Company will be better for you. We just placed our order with IncSmart. The order form was simple. When we called, they answered our questions. Now we just wait for our company to be filed with the Secretary of State. IncSmart was great. Walked us through the entire procedure. Everything went according to plan. 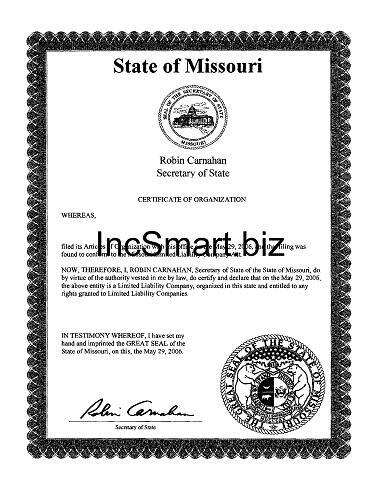 We also chose to use the IncSmart registered agent service in Missouri. If the company does well, I am sure we will go with the three year special next year. We decided to registered our business as an LLC. We thought it would be easier to run than a corporation. We hired IncSmart to file our articles and we also chose the three your registered agent special. The prices are great. Documents delivered as promised. I am so happy I made the call to IncSmart.biz. You answered all my questions. The web page is packed full of information. Q: If I purchase your registered agent service, how do I change from our old company? Q: What city is your Missouri Registered Agent? Apostilled Missouri Certificates for England, Australia, Canada, South Africa, Ireland, or any country with membership in the Hague Convention. The Apostille certifies the authenticity of the signature on corporation documents. No hourly fees. From $17 to $39 a month. Affordable attorney access. The LLC is protecting you, now you can protect the Limited Liability Company. Register your business in another state.